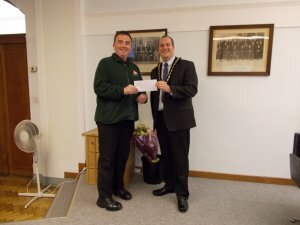 The Mayor presenting The Royal National Lifeboats Institution with a donation of £1,163.16. The Mayor presenting L.I.V.E.S. 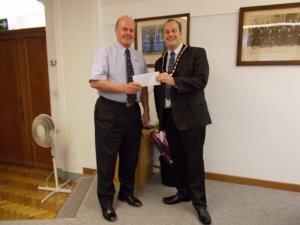 with a donation of £1,163.16.